His concert is coming to Melbourne Recital Centre next Monday, and I'm very excited about this. I had a look at his albums on iTunes recently, and purchased a few of them. 'Found Songs', 'Living Room Songs' and this one. And I love them all. 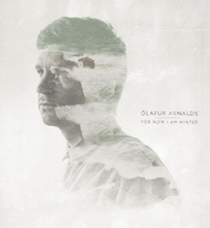 This is his latest album and very interesting in a sense that he features a fellow Iceland musician Arnor Dan as a guest vocalist. There are five songs with his superb vocal performance, and they're all terrific. Other instrumental pieces are also beautifully crafted and rendered. His music definitely reverberates in my mind and resonates in my soul.